The thing that inspired me most about this setup were the shadows. Can I say a thing inspired me and then have that thing be plural? The thing (one thing) ... and then multiple shadows? Was that a complete sentence? Am I allowed to be flexible with grammar after 8PM and one glass of wine? Please say yes. 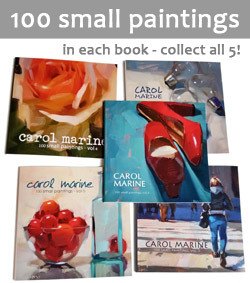 Loving the persimmons, Carol, and I can't wait to see your larger paintings. Yes! Ha ha ... it is fun when you write after 8, & after wine. 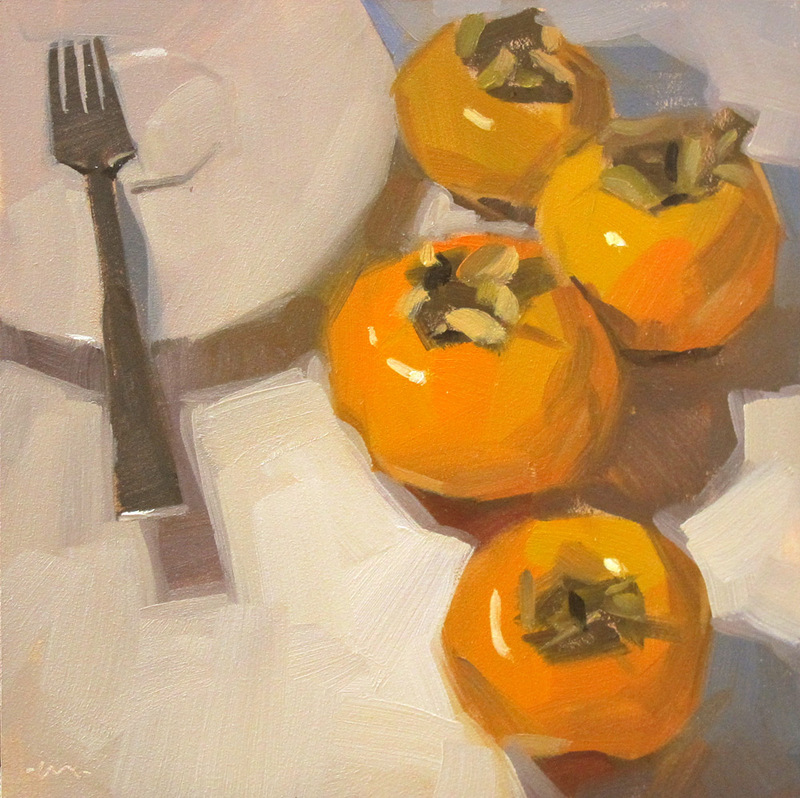 Love the persimmons! They are so tasty too! descriptive words. We even write the new vocab words on the board. ANd your shadows are exquisite as aways - colors bouncing around having fun and playing together. Just stunning... Simply stunning... One day I will take a class from you! My dream!